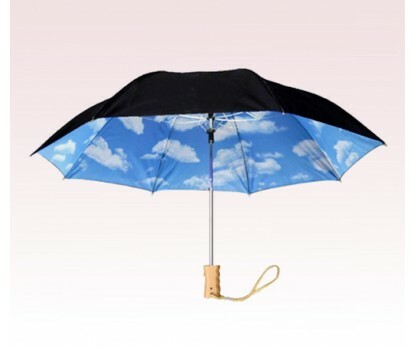 Personalized Black & Sky Blue 46 inch Auto-Open Large Clouds and Sky Folding Umbrella are superb promotional products for brand that are trying to create pleasant impressions among users. These custom alternating panel umbrellas are featuring, double canopy, automatic opening and striking Blue sky under canopy. Wood handle, deluxe frame construction and Black sturdy shaft are also factors that make sure best impressions from the users. Order these custom umbrellas quickly to gain free online proofs, free artwork and lowest price guarantee offers. 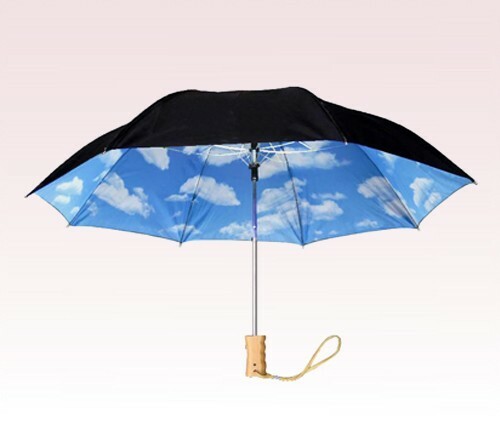 Request a quote to know wholesale savings for these Personalized Black & Sky Blue 46 inch Auto-Open Large Clouds and Sky Folding Umbrella. Product & Design Quality - These umbrellas are sturdy and beautiful and the custom print looks fantastic! Customer Service & Shipping - The customer service was top-notch!